Happy International Day of Happiness! People all over the world will be celebrating in some wild and wonderful ways! Join us and join others in wonderful events being held. But first…. Why do we need to celebrate happiness? What’s the deal with the whole happiness thing anyway? With over 1 billion people around the world suffering from anxiety and depression – global happiness is a really big deal. Being “unhappy” is costing us our health, our sanity and our lives. So how do we go from anxiety and depression to happy? What’s the big secret – the magic “key” that people all over the world are looking for every day? I have a” love” relationship. I have a better job. I have more followers and likes on social media. 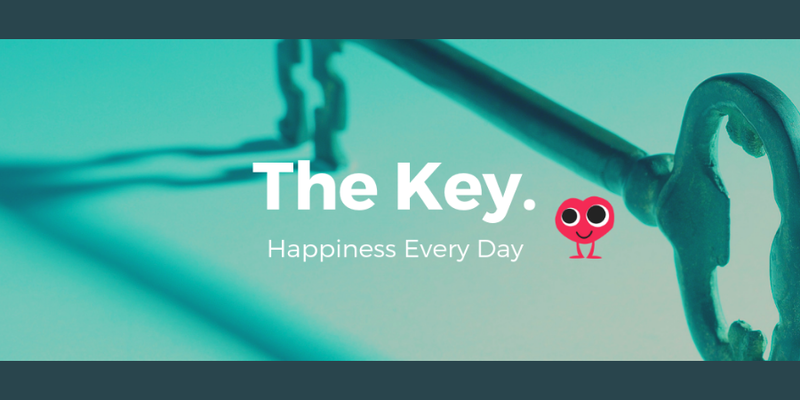 Here’s the Key… the secret to happiness…… it doesn’t come from any of those things. It may feel good for the moment but the feeling you get from outside influences is fleeting and changes based on the moment, the day – or until the next best thing comes along. The Key to Happiness is actually very simple because it’s all about YOU! It’s subjective (meaning happiness is different for everyone) and it takes practice. Everyday. Here are 5 easy steps to bring happiness into your life every day. 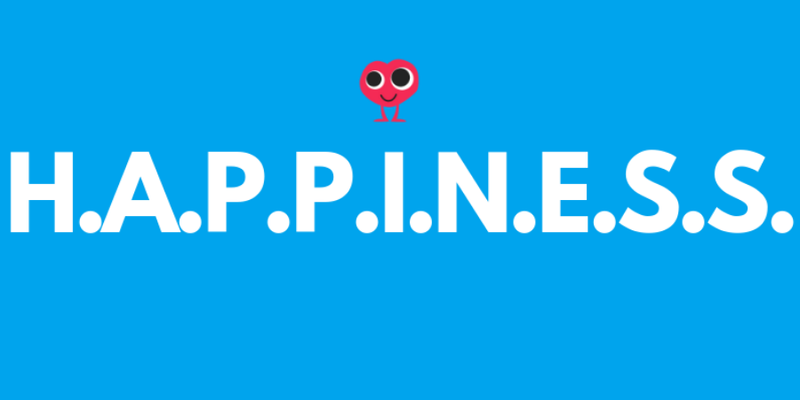 We like to think of these steps as putting happiness into action. Our brains and bodies are hardwired to be happy. You just have to tap into the perfect recipe that works for you. Obviously this one is our favourite and we know for sure it works. When you give – even something as simple as a smile to a stranger, picking up garbage or giving a meal to a person in need you set off The Happiness Trifecta in your body. The perfect combination of oxytocin (love hormone), serotonin (happy hormone) and dopamine. ( reward center of the brain). Mix in a reduction of cortisol up to 23% (stress hormone) and you are on your way to happy with every give. We don’t mean social media likes! When we have real life connections to others (an animal like a pet) it reduces the feelings of loneness and created the feelings of having a tribe you know are always there for you. Finding your positive tribe can include family, friends and colleagues but they are the people that lift you up when you need it and celebrate all that life offers. Purpose can mean many things to many people. It can be associated with your work or like all of us at 365give a personal purpose – making a positive impact on the world around you, a sport you love or a musical instrument that makes your heart sing. If you body feels good you feel good. Eat good food, exercise (20 minutes a day will work!) quite you mind. Your mind just needs to be quiet sometimes. Give that brain a break from the “to do’s of life” and just be in tune with nature, a quiet favourite place, chill at the beach. Just let that inner chatter go! Here are some of the International Day of Happiness events and resources to participate in all over the world. It’s worth learning and practicing how to be happy every day. It will change your world! Happiness Day (UNIDOHappiness) – Complete the #TenStepsToGlobalHappiness challenge for the 2019. World Happiness Agora (March 18-22) – 5 days of virtual events, 5 major topics leading to happiness with over 30- live events. United Nations: A great resource for International Happiness Day. World Happiness Report – The World Happiness Report is a landmark survey of the state of global happiness. Global Happiness Policy Report – The Global Happiness Council is a report by expert working groups on happiness and good governance, and provides evidence and policy recommendations on best practices to promote happiness and wellbeing.  At 365give we have another event that you just might love. 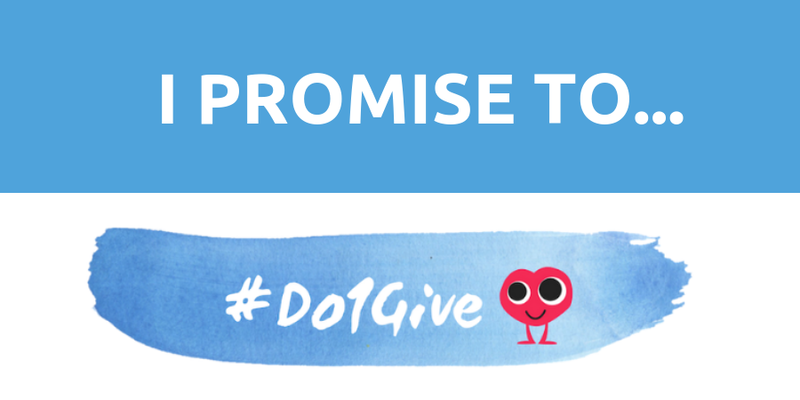 #Do1Give Day is a world wide day of giving held April 17 that spreads happiness globally. Last year over 10,000 gives were completed on event day. This year our Giving Goal is 100,000 gives. 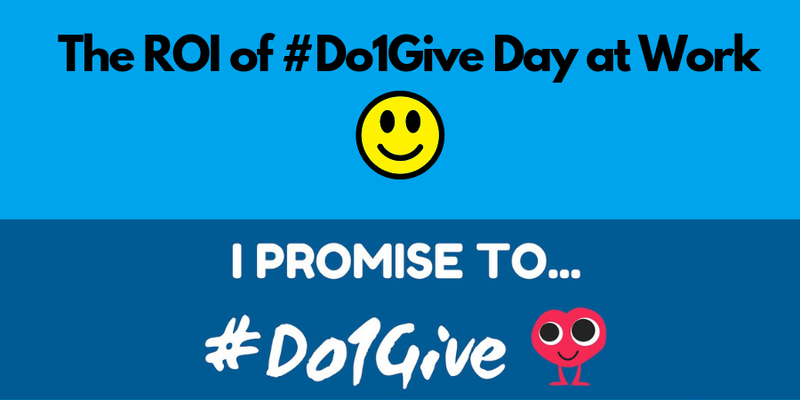 Sign up for #Do1Give Day and make yourself and others happier on April 17th.